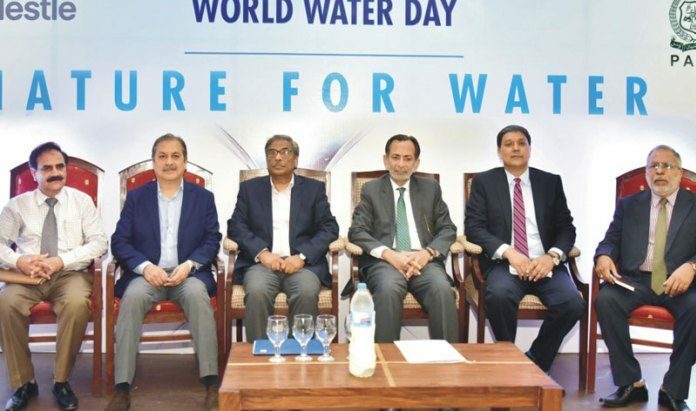 The Pakistan Agricultural Research Council (PARC) and Nestlé Pakistan will together promote smart water-saving and eco-friendly technology as a solution to the country’s current energy crisis. A memorandum was signed in April between the partners at an event in Pakistan that showcased solar-powered water-saving technologies at the CEWRI Field Station of the PARC-National Agricultural Research Centre. As part of the agreement, Nestlé will lend technical assistance to PARC for the installation of drip irrigation systems, which have been shown to revive crop production in stressed environments. Dr. Yusuf Zafar, Chairman, PARC told the Pakistan Agricultural Research Council (PARC) that solar energy could prove an efficient way of fulfilling the country’s power needs. He added however that PARC would focus its efforts on the role of water, 80 percent of which is used in Pakistan for agricultural purposes. The chairman said that in the past, Pakistan was a country rich in water resources with its huge reservoirs. Now, water resources have started to decline, he said, the reasons for which are largely linked to climate change. He described a dire need to educate stakeholders, including researchers and professionals at farm levels, by promoting and extending the use of irrigation management systems. A recent study by the Pakistan Counsel of Research on the country’s water resources shows that depletion of groundwater could worsen the water crisis in Pakistan’s major cities. The quality of groundwater meanwhile is threatened with contamination by heavy metals such as copper, nickel and cobalt, which can spread Hepatitis in people living in Pakistan’s urban areas. Nestlé-Pakistan said in a statement that it appreciated PARC’s efforts to adapt the country’s agricultural sector and said that the agreement signed between Nestlé Pakistan and the Pakistan Agricultural Research Council would help farming communities. Both organisations also agreed to enhance cooperation in the future.